Today I was looking through some old photo albums. I happened across my collection of photos of famous Admiral Isamu Takeshita. 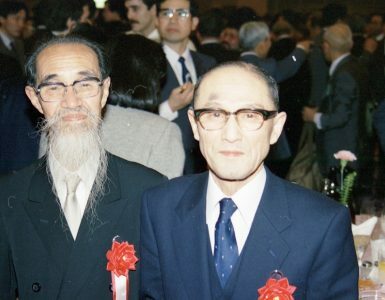 The admiral was an early student of Aikido Founder Morihei Ueshiba and one of the people most responsible for Morihei’s success in Tokyo and his introduction into elite circles of Japanese society. You may recall that I did a brief article titled “Who was really the first person to introduce Aikido to America?” back in October of 2011. I published this rare photo you see here. On this trip, we know that the admiral visited Los Angeles, San Francisco, and Seattle. There were large Japanese communities in each of these cities. Very interesting… I thought. The admiral posed for a photo with a cute little American girl. What did the caption say? Something about “Jane W…” and “Fox Studio, Hollywood.” Who on earth could that be? Obviously, I googled “Fox Studio, Hollywood and Jane W,” and I immediately discovered the name “Jane Withers,” a child star who was quite famous in those days due to her role in one of Shirley Temple’s movies. 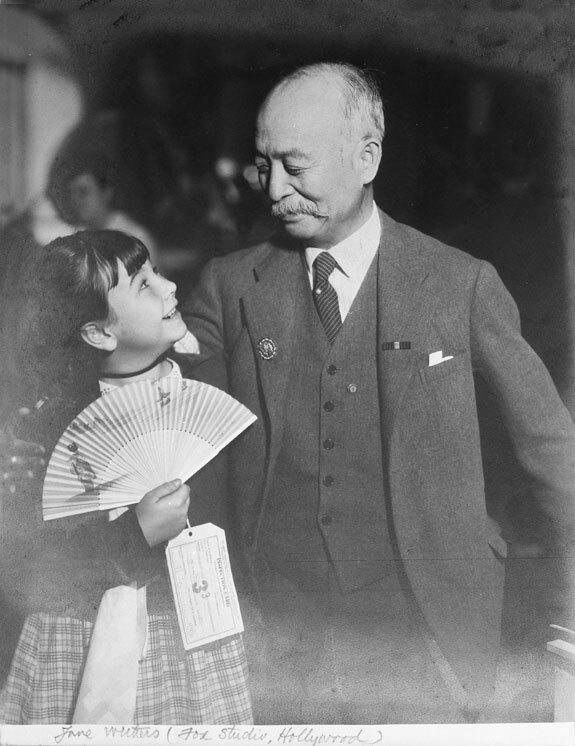 I found some photos of the little girl, and there was no question that it was the same one in the picture with Admiral Takeshita. What a find after 76 years! 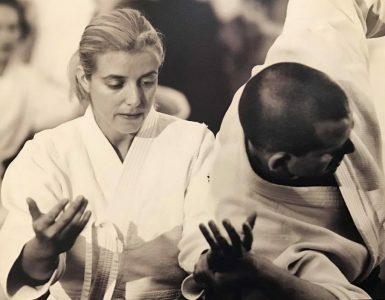 While I was at it, in the same album, I came across a letter dated 1997 from writer-researcher Joseph Svinth who was submitting an article titled “Pioneer of US Aikido.” Knowing me, I was sure that I published this in an old issue of Aikido Journal, but I had no recollection of having done it. 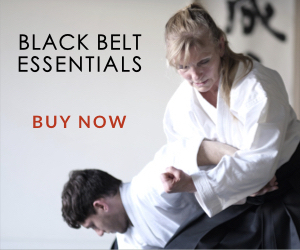 Finally, I found the article which appears in Aikido Journal #113 on page 58. 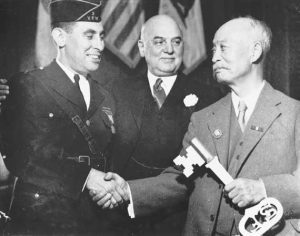 Joe sheds more light on the subject of Admiral Takeshita’s 1935 visit to the west coast of the USA. I think you will enjoy the article. 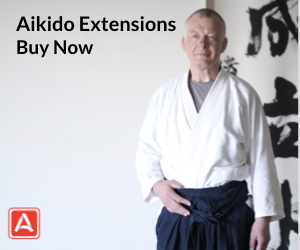 This is all part of aikido’s fascinating history! 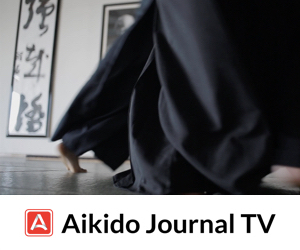 “Pioneer of US Aikido,” by Joseph R. SvinthAlthough Koichi Tohei effectively introduced aikido into the United States in 1953, he was not its pioneer. That honor instead belongs to the important but often overlooked Admiral Isamu Takeshita. A financial patron and student of aikido founder Morihei Ueshiba, Takeshita also introduced President Theodore Roosevelt to judo in 1904. It was he that arranged Yoshitsugu Yamashita’s first audience at the White House, and routinely trained with the President when Yamashita was unavailable. 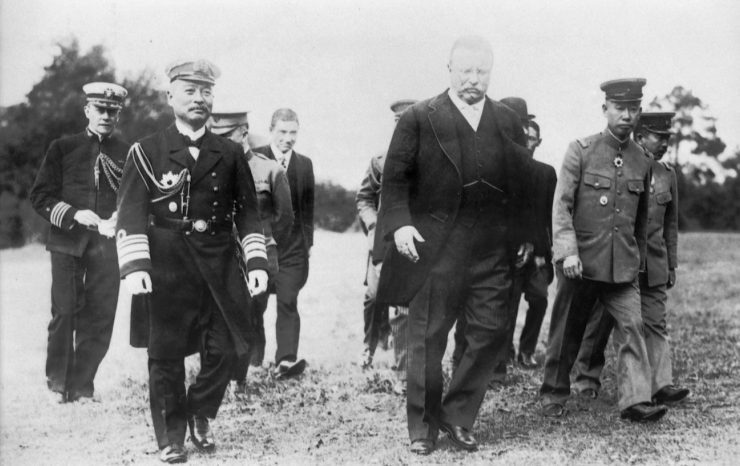 In October 1935, the 67-year-old admiral participated in a goodwill tour of the United States. In Seattle, he was interviewed by the local Japanese American press. An excerpt from the Great Northern Daily News says, “Admiral Takeshita, himself, said that were it not for ‘aiki budo,’ a form of judo, nerve contact, and psychology, he would be exhausted from the hand-shaking that he had to do on his trip around the US. Aiki budo enabled him to shake hands all day and leave him tireless, he said. The other members of his party related how a big Eastern reporter was groaning in pain when Takeshita merely held his hand and added a sligt pressure. 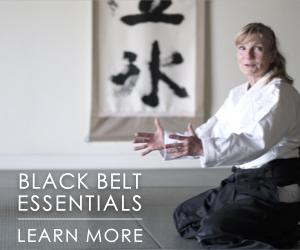 Yasuyuki Kumagai, Seattle Dojo instructor, will tell you that Admiral Isamu Takeshita’s fame in the art of ‘aiki budo’ is no fake. Wishing to learn more about this art, Kumagai, who holds a 5th-dan rank in judo, saw the venerable admiral off this morning at the Union station and just before the depature of the train, asked him about it. The admiral smiled and told Kumagai to get set. Both men took the judo pose, and with a sudden movement that was faster than most of the witnesses could catch, Takeshita thrust out an open hand, fingers rigid and pointing to Kumagai’s midsection. That was all, but Kumagai, who knows a little of vulnerable points on the human body, was startled as well as convinced. Impressed about Admirals skill, we must not forget that despite being admirer and great supporter to O sensei, he also was enthusiastic Aiki Budo practicioner, I recall Gozo Shioda sensei saying in his interview that Takeshita trained very hard and was quite skilled, and how he handed a very heavy and huge sumo cup to the winner and everybody were surprised. The Admiral was more than sixty years old. Then he only commented, “It is not a matter of power- you hold it with technique”. It seems Ueshiba really taught him earnestly. So i guess Admiral Takeshita’s famous Aiki Budo training notes are really valuable source of information for serious practitioners. Thank you Stan, very nice photos from 1935.